Ready to ride the bull? 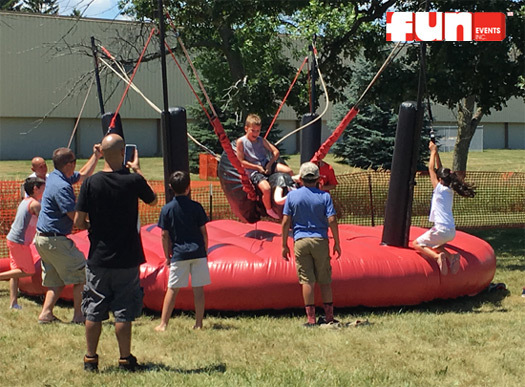 One rider hops on "El Toro" while four friends each grab a bungee and begin oscillating the bull. The rider holds on to a rope/strap and tries to remain on the fierce beast for as long as possible. The motion is gentle but it is a real challenge to hang on. This is an outdoor events rental only which requires 5 participants.